"WE CARE FOR THOSE WHO CARE FOR US." Join us in celebrating our 53rd Anniversary Valor Awards luncheon on Thursday, May 9, 2019. 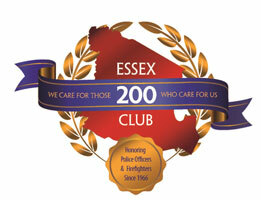 The Two Hundred Club of Essex County helps care for dependents of police officers, firefighters and New Jersey State Troopers who have lost their lives in the line of duty.